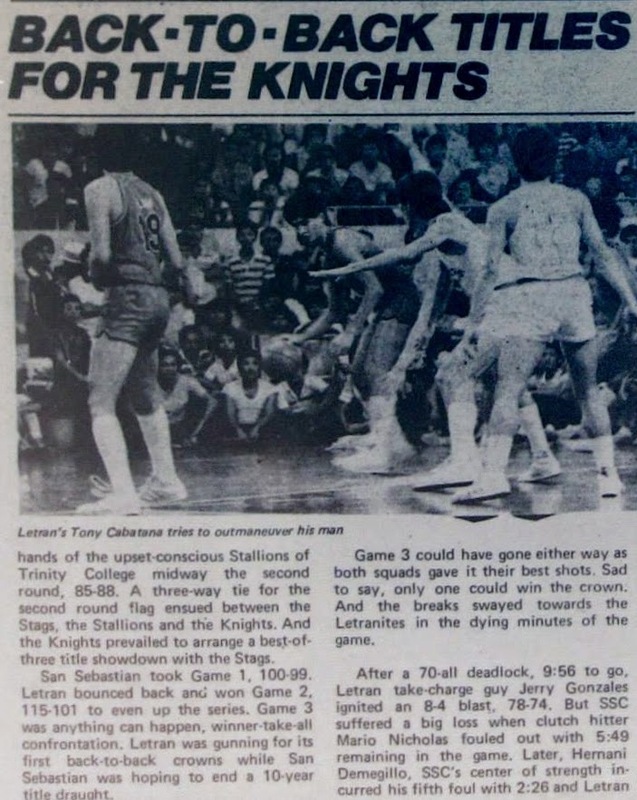 Letran wins the 1982 NCAA seniors crown, they lost their last game to Trinity Stallions, 89-102. 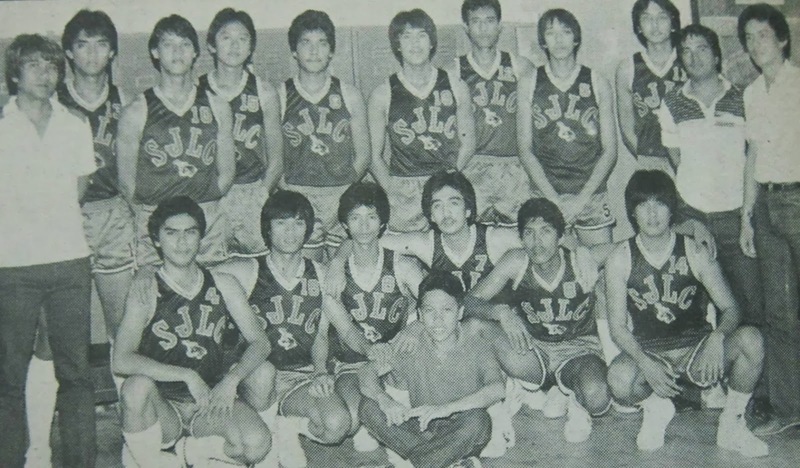 The final standings were: Letran (8-2), Trinity and Mapua (6-4), San Beda (5-5), Jose Rizal (3-7) and San Sebastian (2-8). 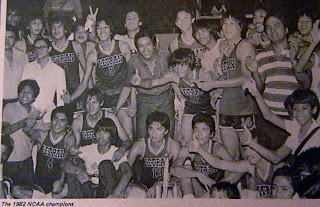 The following season in 1983, Letran retains the NCAA seniors title. It was not easy for the Knights. The SSC Stags took the first round flag with a 4-0 won-loss card and Trinity College was on a verge of winning the second round and a first finals appearance after scoring three straight wins, the Stallions lost to Letran in their last sched in the eliminations on September 8. 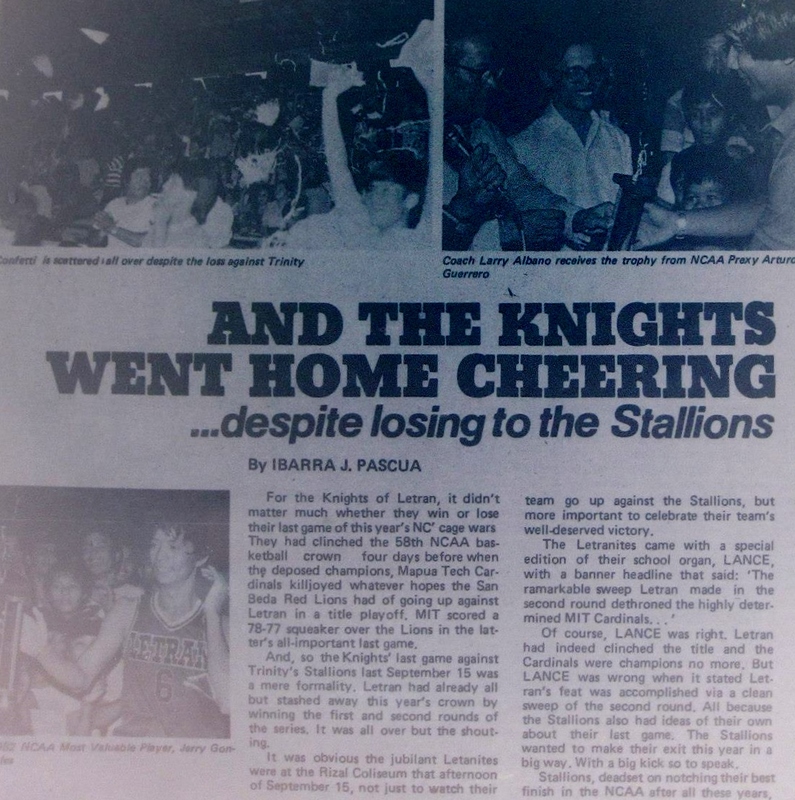 Two days after on September 10, the Stags beat the Knights, 108-106, to create a triple tie with identical 3 wins and one loss. 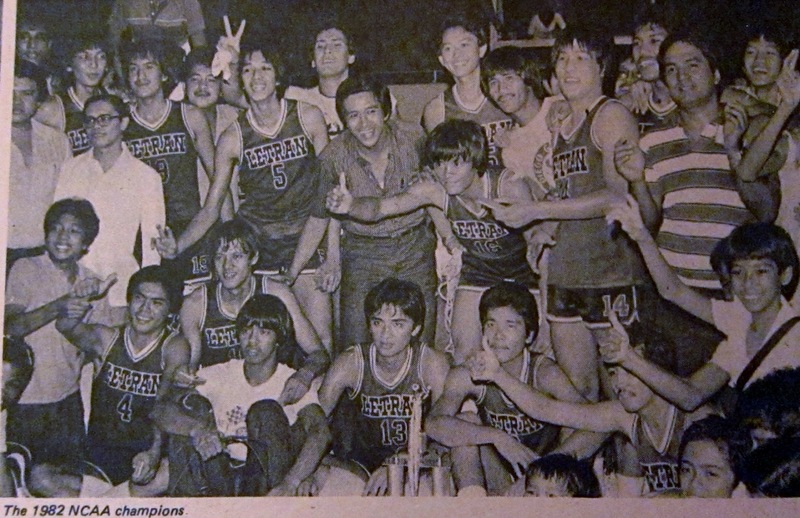 Letran had to go through a playoff to win the second round pennant. 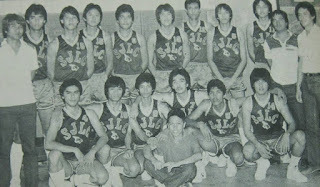 The NCAA Season 59 had only five participating schools when founding member San Beda College decided to pull out of the league. 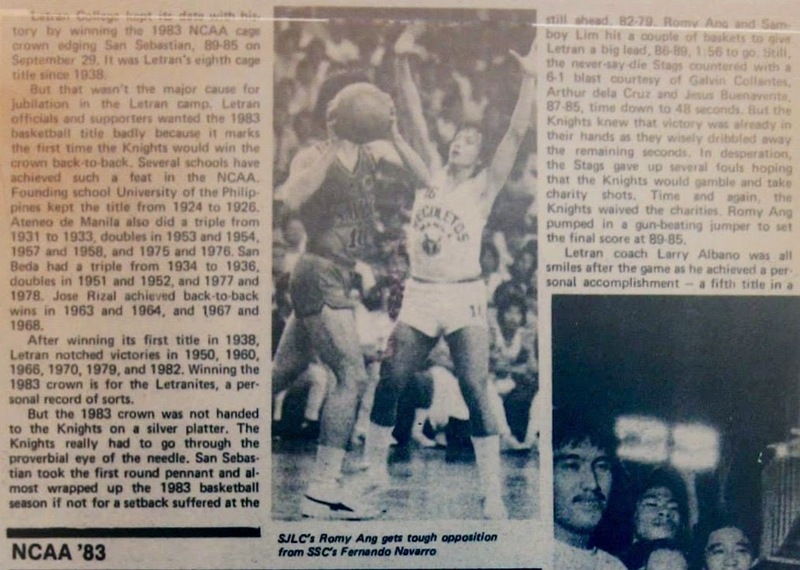 Letran wins the deciding Game 3 of the finals series against San Sebastian Stags, 89-85.